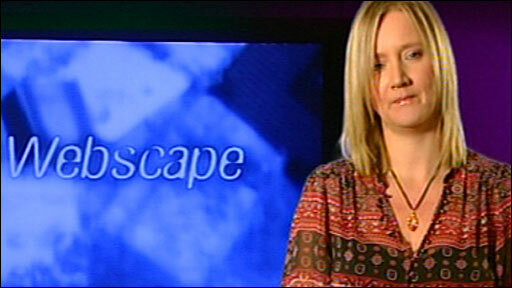 Kate Russell gives us her latest selection of the best sites on the World Wide Web. A few weeks ago I looked at screencasting - where you literally broadcast your on-screen activity, adding narration and subtitling to make a kind of movie. 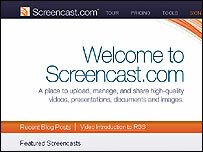 Screencast is a place for you to store, save and share your screencasts - either making them available to the public at large - or to a selected group of people. It is not the only file sharing service on the internet, but it is geared towards this kind of content. They will not lower the resolution of your piece and you maintain full ownership. This is tempered by the 2GB storage and bandwidth restrictions for the free account. The free account should be enough for most users. The bandwidth hungry will have to decide whether to opt for the paid for premium service. VirtualBox allows you to treat a certain space on your hard drive as a completely new computer. You can install a whole new operating system you control through a window - a bit like if you were using remote desktop. 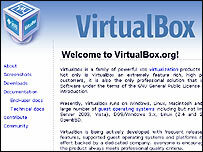 You can run VirtualBox on Windows, Linux, Solaris or the Mac OS X. You can run a box with an older or newer version of an operating system or install a completely different one; this might help you to run occasional temperamental software without upending your entire configuration or run software that is not supported by your OS. 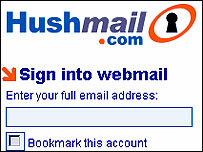 Hushmail has to be one of the most secure free e-mail providers on the web. If you want to make sure your electronic communications are not being intercepted, by anyone - corporate spies, government agents, even little green men - then a hushmail address is where it is at. Free account users beware - you have to log in at least every three weeks or your account will be deleted. 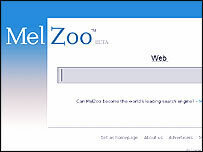 Melzoo.com looks much the same as any other search engine, until you hit enter on a search term and the screen splits into two. Results are listed on the left with a preview pane on the right, showing a snapshot of the listing as you hover your mouse over each link. This is a superfast way to scan through homepages for the information and links you are looking for. Ask.com runs a similar feature with their Binocular Site Previews.